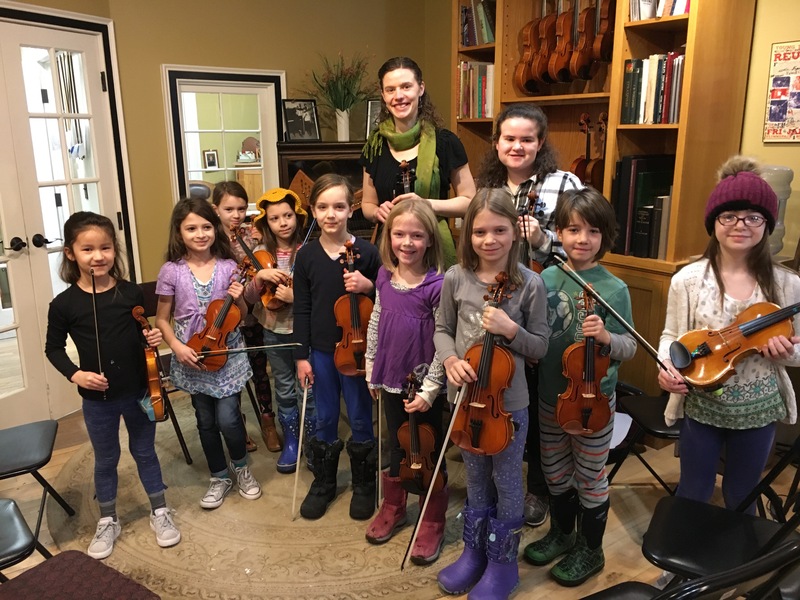 Sarah King finished a 2-part Fiddleheads residency with over 20 young musicians on 2/2/19 at the Burlington Violin Shop, preparing tunes for the 3/17/19 (1pm) performance at the Burlington Irish Heritage Festival Ceili at City Hall in Burlington, reviewing previously taught tunes (the Rolling Waves and the Silver Spear) and teaching the Maid Behind the Bar (video link here). 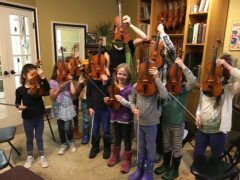 If you’re planning to join Fiddleheads on 3/17/19 at City Hall, please arrive by 12 noon so that everyone can run through the tunes prior to the 1pm performance. Sometime between 3/17/19 and a performance scheduled for 5/12/19 at the Shelburne Museum, Yasi Zeichner will be leading residency, building on the repertoire taught by Sarah. Proud to say that the 3 most recent residencies – Brian Perkins (late 2018), Sarah King and Yasi Zeichner – have been led by YTV board members! Dominique Dodge will begin her annual 2-part Fiddleheads residency including Celtic harp students on 4/13/19 at the Burlington Violin Shop (2nd will be on 6/1/19), preparing for the annual Carolan Festival on 6/15/19. More information available at mark.sustic@gmail.com. It is helpful if you can RSVP with an e-mail to mark.sustic@gmail.com. We send messages about canceling if there’s not more than 4 or 5 confirmed. Best to let us know if you’re planning on attending.